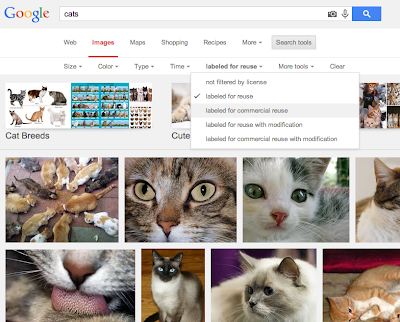 A brief and effective post by Larry Lessig about the new feature in Google Images. Now we can search images also by reuse rights. Nice! I think this is a positive side effect of the Creative Commons revolution (started just by Lessig). Now reusers have no excuses for not respecting the licenses of the images published on the web. It is so clear and easy to understand. Glorious day! Google has launched a simple way to filter Google images by reuse rights. Click the search tools, and select your license. Thank you, Google!